Product worked fine. The delivery was delayed by not having the part in stock. It took too long get here compared to most Jack's parts that I am used to. This item is a complete Carb, not just the body. No need to buy the rebuild kit, etc. I installed, pulled once, immediate start. This was the only Honda engine that ever gave me a problem. Never ran right even when new. This solved ALL the issues. 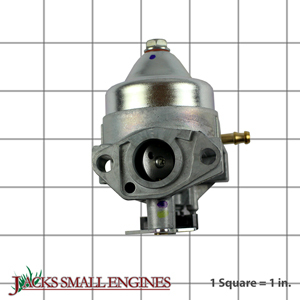 Ask us about the Honda 16100Z8B861 Carburetor (BB71A A). Please no repair questions. Your Q&A may be posted to Jackssmallengines.com to help other shoppers, like you, with their purchasing decisions. Thank you.